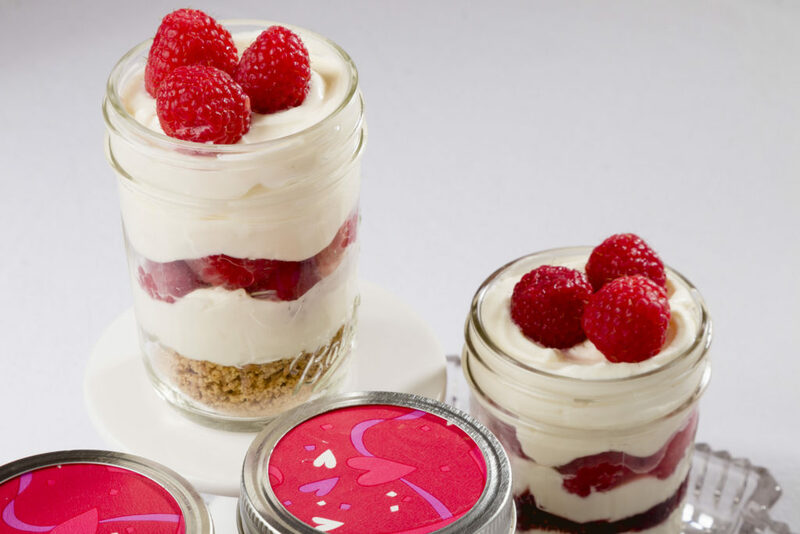 This Easy Raspberry Parfait is just that easy. You can make them with sugar or Swerve and omit one ingredient to make it a lower carb choice. 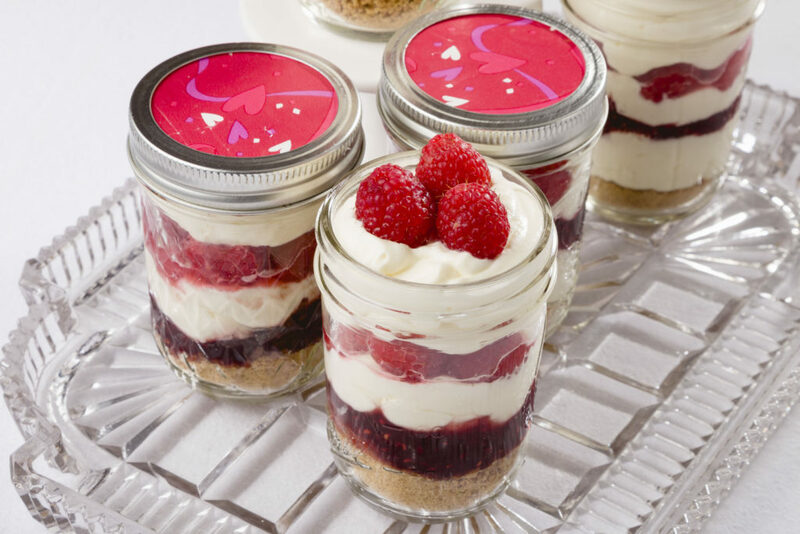 Easy raspberry parfaits are portable so they are the ultimate make and take. 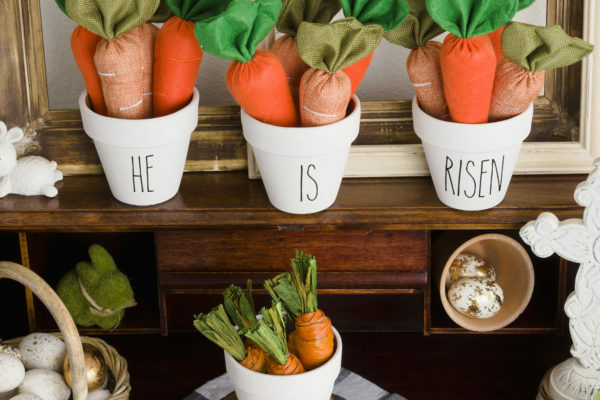 Take them to work or school and share some love. 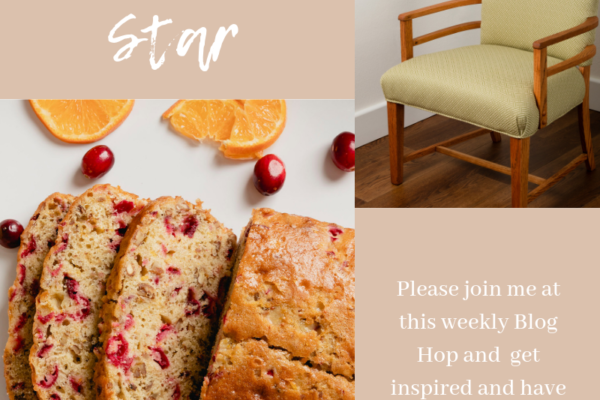 Remember to subscribe to receive all my easy recipes delivered straight to your inbox, see form below. Notice in the photo above the parfait in the back on the left has no raspberry jam, hence making it a lower carb choice. Another tip is to use only half of a graham cracker per parfait which lowers the total carbs for this recipe. 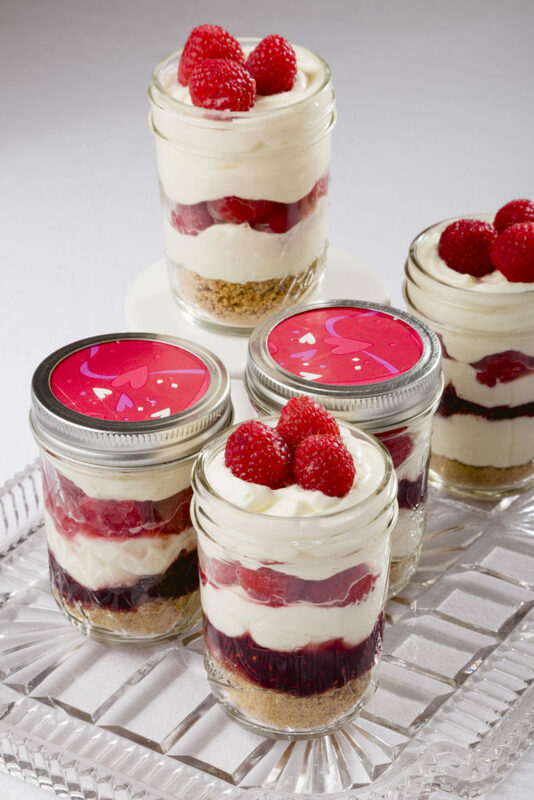 Since each jars is a single serving, you can fill them according to individual tastes and dietary requirements. In the above photo you can get a closer look at the lower carb parfait on the left. I have a sweet tooth and this treat is so rich and creamy I do not miss the carbs. 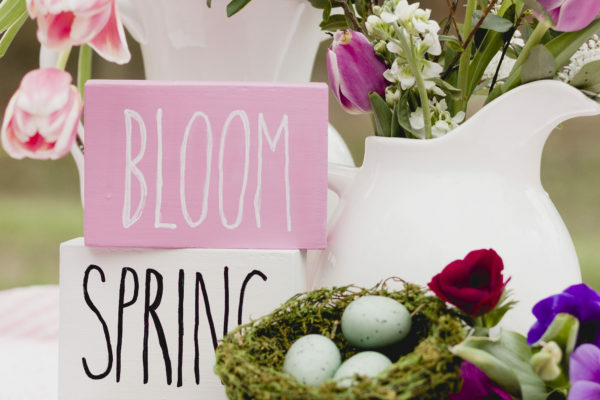 These sweet indulgent choices are so welcoming for your family and friends at Valentine’s. Please note the lower carb parfait is the best choice for someone watching their carb intake. The chocolate candy cane hearts recipe I found HERE. 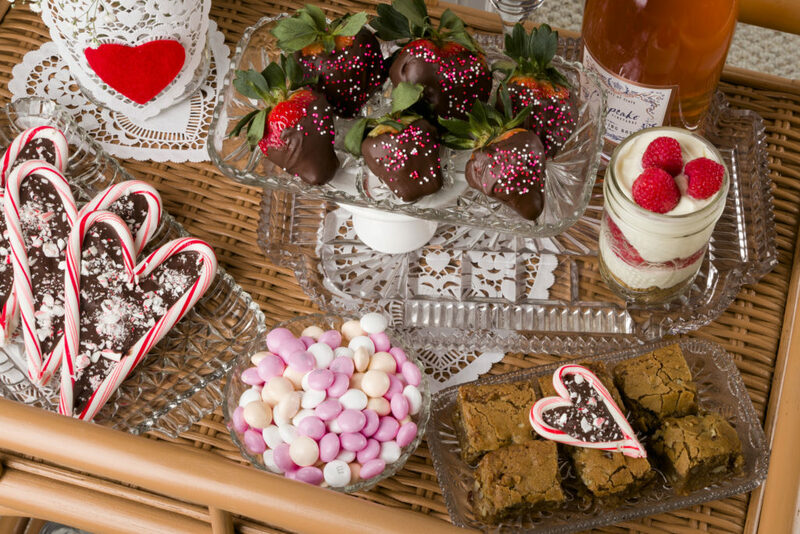 Another easy sweet treat for your Valentine’s is Brown Sugar Chews pictured at the the bottom right corner with a mini candy cane heart on top (find the recipes download below). Who doesn’t like chocolate covered strawberries? Go for dark chocolate to save on carbs and drizzle it over the strawberry instead of dipping it in the chocolate for the lowest carb option. All the flavor without the extra carbs. 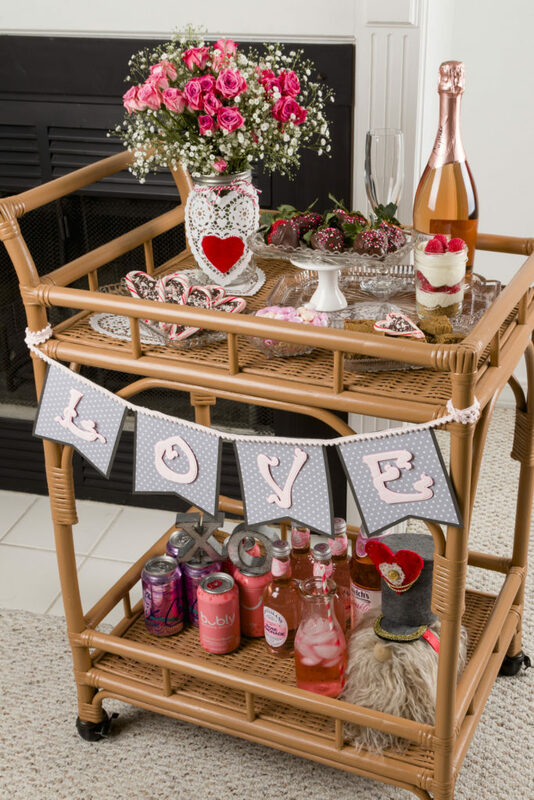 For some zero carb eye-candy make this adorable LOVE banner (see how HERE) for your dessert and pink drink bar cart. Another sweet addition is Mr. Gnome. I made Mr. Gnome using a pattern from an earlier post, please find the instructions and pattern HERE. Some other zero carb and calorie-free treats are flavored waters. 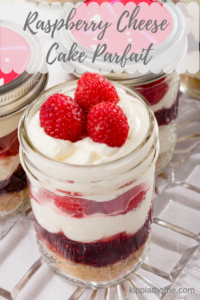 Easy Raspberry Parfait can be a sweet treat for any special occasion, so indulge your taste buds and make them for yourself and family. Thank you so much for visiting today I hope you enjoyed my raspberry parfait. What’s on your menu for Valentine’s Day? I would love to hear from you please say hello in the comments below.